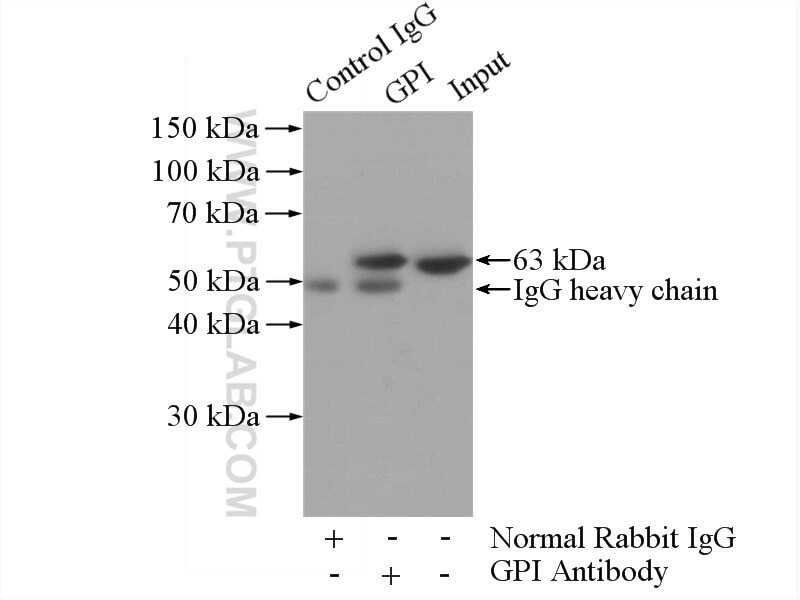 IP Result of anti-GPI (IP:15171-1-AP, 4ug; Detection:15171-1-AP 1:500) with HeLa cells lysate 1200ug. 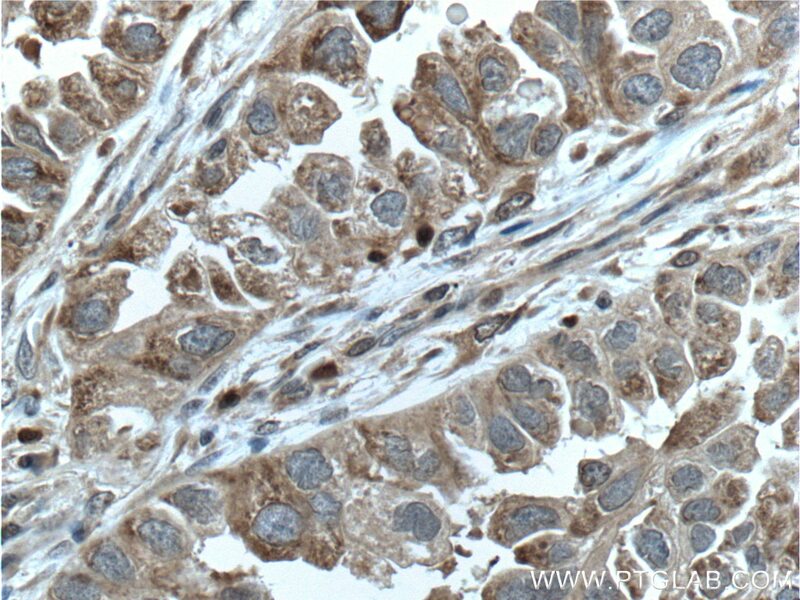 Immunohistochemical analysis of paraffin-embedded human lung cancer tissue slide using 15171-1-AP( GPI Antibody) at dilution of 1:200 (under 10x lens). heat mediated antigen retrieved with Tris-EDTA buffer(pH9). 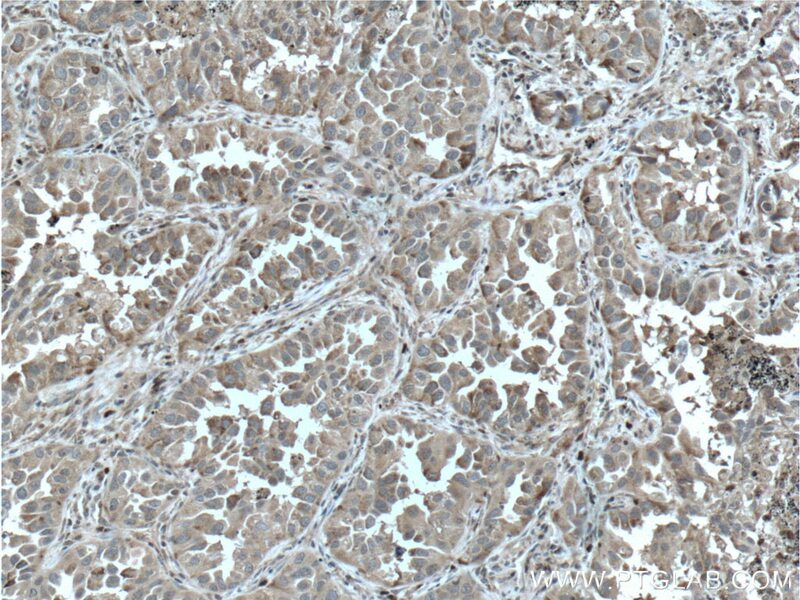 Immunohistochemical analysis of paraffin-embedded human lung cancer tissue slide using 15171-1-AP( GPI Antibody) at dilution of 1:200 (under 40x lens). heat mediated antigen retrieved with Tris-EDTA buffer(pH9). GPI(Glucose-6-phosphate isomerase), which is also named as autocrine motility factor (AMF), phosphoglucose isomerase(PGI), Neuroleukinis(NLK), phosphohexose isomerase(PHI) or sperm antigen 36(SA-36), is a housekeeping cytosolic enzyme that plays a key role in both glycolysis and gluconeogenesis pathways. 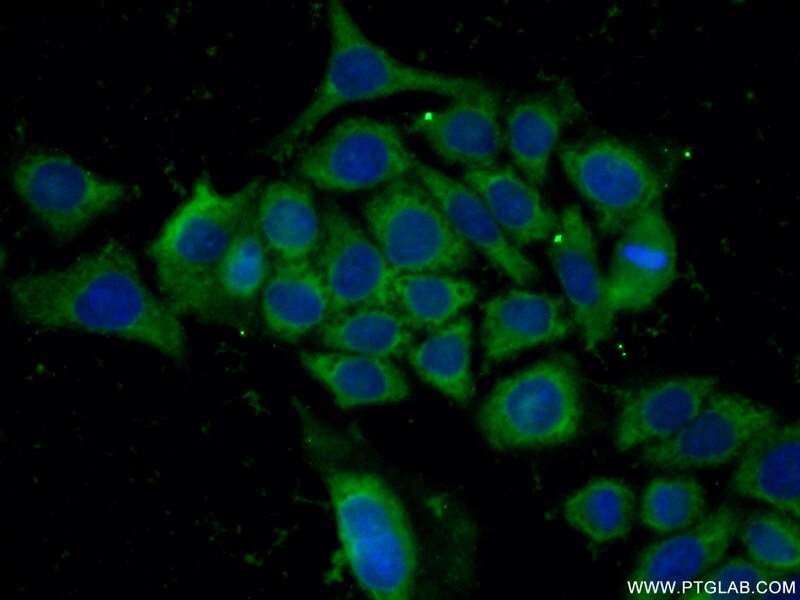 It is also a multifunctional protein that displays cytokine properties, eliciting mitogenic, motogenic, and differentiation activities, and has been implicated in tumor progression and metastasis (PMID:12783864, 19603112). This protein can exsit as a homodimer in the catalytically active form and a monomer in the secreted form (PMID:11371164). It has 2 isoforms produced by alternative splicing with the calculated molecular mass of 63-64kDa, and an apparent molecular mass of 55 and 64 kDa under non-reducing and reducing conditions, respectively(PMID: 19603112, 11004567). FHL2-drived molecular network mediated Septin2 knockdown inducing apoptosis in mesangial cell. CUE domain-containing protein 2 promotes the Warburg effect and tumorigenesis. Proteomic analysis indicates that mitochondrial energy metabolism in skeletal muscle tissue is negatively correlated with feed efficiency in pigs.